Need chicken fast? The pressure cooker is the way to go! This method is fast, simple, and fool proof. Keep the seasoning simple or mix it up depending on how you're serving the chicken. It’s so convenient to have already-cooked chicken in the fridge. You can use it for salads, sandwiches, last-minute pasta dishes . . . or any time you are trying to round out a meal with a some protein, really! And the easiest way method for cooking your chicken? In the pressure cooker, of course! Pressure Cooker Chicken is So Easy! Cooking chicken in the pressure cooker works similarly to poaching. The biggest difference is that you use less liquid and you can press a button and step away while the pot is doing its thing. The chicken cooks in water, seasoned with salt, bay leaves, and garlic for a little bit of extra flavor. You can add any aromatic spices or vegetables to the water, really, depending on how you want to flavor the meat. Ginger and green onion would be nice if you plan to use the chicken on top of an Asian-style salad, for instance. Boneless chicken breasts and thighs cook in the same amount of time—just 10 minutes at high pressure will do it! Just be sure to arrange the meat in a single, even layer in the pot, as it cooks more evenly that way. It should reach about halfway up the chicken. This timing works for a 1 1/2 to 2 pound batch of boneless chicken. If you’re cooking more meat (3 to 4 pounds), increase the cooking time to 15 minutes to ensure that it is cooked through. For a smaller amount of meat (1 pound or less), decrease the cooking time to 8 minutes. The cooked chicken can be used in any recipe that calls for precooked chicken. Shred, slice, or cube it as needed, then use it however you like! Tuck a few slices of chicken into a sourdough sandwich, or top a salad to make a light lunch. Toss cubed chicken into a soup or pasta dish. Mix shredded chicken with BBQ sauce or hot sauce for sliders or tacos. As a bonus, cooking chicken this way yields about two cups of chicken broth! Save it in the fridge or freezer for later, use it as a base for a soup, or cook up an extra flavorful batch of rice or quinoa, subbing the broth for water. For Stovetop Pressure Cookers: Follow the instructions below, but lower the cooking time to 8 minutes at high pressure. If your chicken is frozen, see this post for how to adjust the cooking time. 1 Add the chicken to the pressure cooker: Arrange the chicken in a single, even layer in the bottom of the pressure cooker. Add the water, then sprinkle with salt. Add the bay leaves and garlic. 2 Pressure cook the chicken: Secure the lid on the pressure cooker. Make sure that the pressure regulator is set to the “Sealing” position. Select the “Pressure Cook” or “Manual” program, then adjust the time to 10 minutes at high pressure. 3 Release the pressure: As soon as the timer goes off at the end of cooking, perform a quick pressure release by moving the pressure release knob from “Sealing” to “Venting.” It will take a minute or two for the pressure to release completely. 4 Use the chicken: Use a pair of tongs to transfer the chicken to a dish, and let it rest for 10 minutes. Slice, shred, or cube the chicken as needed, or refrigerate in a lidded container for up to 5 days. If you want to save the cooking liquid (it is now a lightly flavorful chicken broth), strain out the bay leaves and garlic. Transfer to a tightly lidded container and store in the refrigerator for 3 to 4 days, or frozen for up to 6 months. Hello! All photos and content are copyright protected. Please do not use our photos without prior written permission. If you wish to republish this recipe, please rewrite the recipe in your own unique words and link back to How to Cook Chicken in the Pressure Cooker on Simply Recipes. Thank you! Thank you for easy to follow directions on pressure cooking chicken. 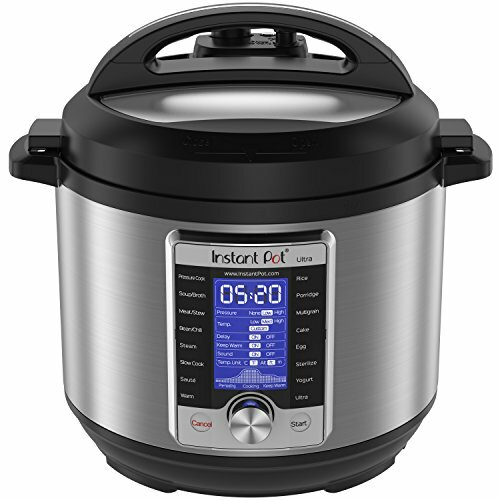 I bought an 8qt instant pot at a terrific price and have been intimidated to use it. Now I have some confidence.